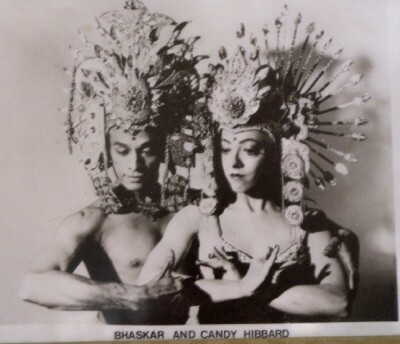 "Take it from an OLD Indian, darling..."
When Mom first got to New York in February of 1976 the first stop she made was Bhaskar's house. Carolyn Kay had written that Matteo was giving lessons and that there was an opening in Matteo's company, but Matteo had closed his classes. Bhaskar invited Mom to come to him for lessons, and he never asked for a cent in return. He DID, however, always invite everyone in the house to stay for dinner, and it was these frequent and impromptu dinner parties where the fun began with the food preparation (immediately following Happy Hour.) Here are several recipes taken down in the kitchen at 207 Columbus Avenue, Apartment F.
NOTE: INDIAN FOOD CAN BE HOT. BE PREPARED. I am never forgetting the day Carolyn Kay and Bhaskar and Candace were driving out to do a school show in New Jersey in Carolyn's Volkswagen. We were discussing HOT FOOD and who could eat the hottest food. We stopped for drinks on the way to the school at a small grocery which just happened to have bottles of MATOUK'S HOT SAUCE, one of which Bhaskar purchased. Naturally, Bhaskar announced that he could eat anything, darling, and that he would be able to drink the Matouk's straight from the bottle, which he did. And then we had to share the rest of our soft drinks with him all the way to the school, trying to put out the fire. Cashews, minute rice, rasins, butter, oregano, scallions. Bake in a deep baking dish, covered tightly. Bake at 350 Degree Fahrenheit, 1 to 2 hours. Make the Pilaf on the stovetop, from the same stuffing ingredients using H2O rather than butter. Prepare Pilaf while the Seduction Chicken is baking in the oven. Bhaskar's criterion for judging the success of a meal was the quantity of rice that was on the stove after the meal was prepared. "The more rice on the stove, my dear, the better the meal." BEER, to moisten the mixture, and for the cook. Make into a dough (use more or less flour) and allow to rise for an hour. Roll out, prepare into little balls and flatten them with your hands. Set aside and allow to rise. Drop the flattened dough circles into the hot oil and flip over immediately. Brown lightly and drain on edge, resting on newspaper covered with paper towels. Keep as warm as possible. Serve with Dal, Masala, Honey or Pilaf. 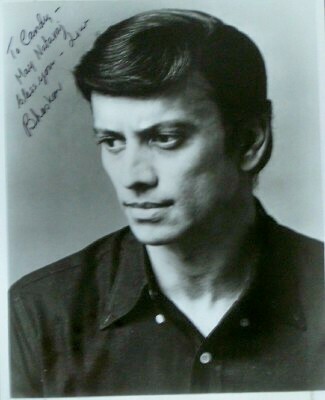 Shortly after Bhaskar's accident at Perdue University Theatre in 1977, the company was booked at Chattanooga, Tennessee for a concert and a Banquet. While Carolyn and Matteo were preparing the concert, Candace was assigned the banquet. Fortunately several friends from Albertine Maxwell's School of Dance in Nashville (Gladys ('Thang'n-all! '), Ingrid Ross, Danny and a couple of others) hopped in their cars and high-tailed it to Chattanooga to help in any way they could. There in the kitchen already were several recipes and lists of supplies. One of the recipes just had a list of supplies that included ten pounds of spaghetti, four bags of almonds, six gallons of cream, and five gallons of rum. There were no instructions, so we called the hospital at Perdue, where Bhaskar was still suspended on a Foster Frame, and Mark held the phone to his ear while he instructed us on how to put together the dessert with the spaghetti, almonds and cream. The recipe included about three cups of rum, so I asked what to do with the rest of the four gallons. "Give it to the cooks, Darling, give it to the cooks." Pour through a strainer into your LARGE cup. You need room for the other ingredients, which you will have put into the cup while you are boiling the infusion. Drink this for a cold, sore throat, or the flu. Drink the tea, and sleep it off.